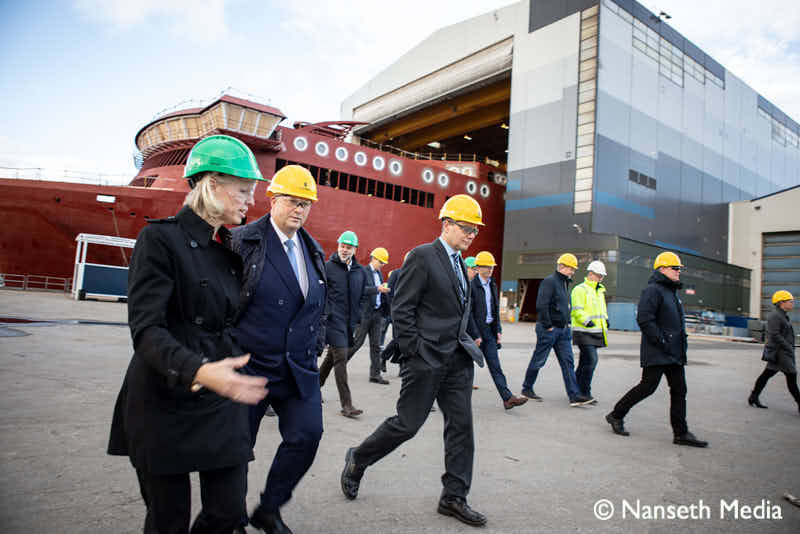 On Thursday, 15 November, Color Line and Ulstein Verft marked the construction start-up on the world’s largest plug-in hybrid ship, the COLOR HYBRID. The Polish-built hull has been placed in the dock hall, and workers are now busy with the ship’s completion before hand-over next summer. The ferry is a good example of the interaction in the maritime cluster. The yard has contracted the sub-suppliers to this project, of which about 70 per cent are local. The Ålesund area is famous for its many maritime companies. About 100 of the suppliers are Norwegian. The ship has been designed by Fosen Yard.COLOR HYBRID will be servicing Sandefjord-Strömstad from summer 2019.